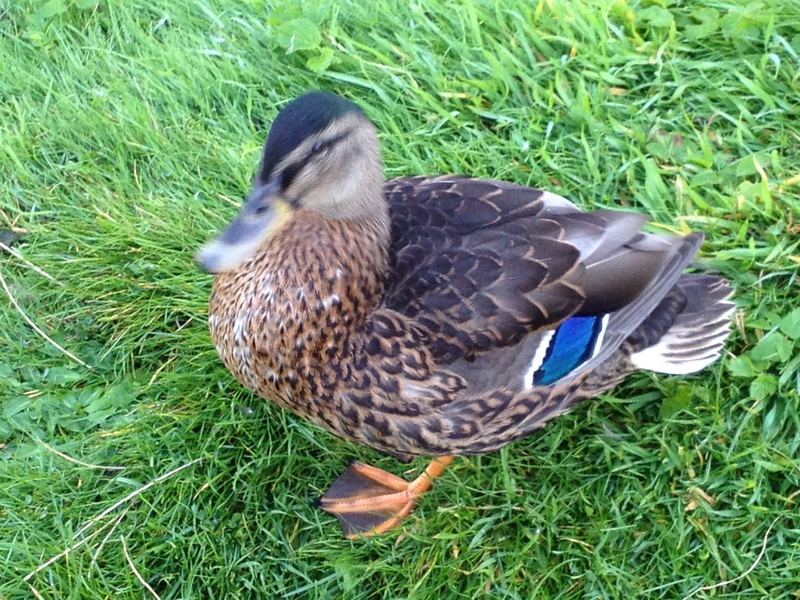 This duck looked like it was wearing the latest colour-block fashion – in the sunlight, the blue stripe had shimmers of teal and green running through it. Beautiful! I love the way the blue is edged by a dark stripe and then white. Very effective. A combination that would work well in a knitted or crocheted accessory, or even at the top of pockets perhaps? I love the V shaped patterning of the feathers too, with their gradual increase in size and proportion. Like a delicate lacy shawl, knit top-down, culminating in a bold, sculpted border? What has made you think of knitting this week? I’d love to hear about it! This entry was posted in Uncategorized and tagged Colour, inspiration. Bookmark the permalink. And this week, blue mountain skies with flocks of western jackdaws (as apparently ‘Dohle’ are known in English?!) circling over the village… yes, I could do something with that! But then mostsurroundings hold so many inspirational details of colour and form… have you seen Knitsonik’s fair-isle, including a road and an electronic gadget inspired sample?! Knit-a-duck week? Well, we have a robin singing sweetly among the roses, wearing his orange-red waistcoat, so that could be a start. Ooo yes, the robin colours could definitely lend themselves to creative yarny inspiration!